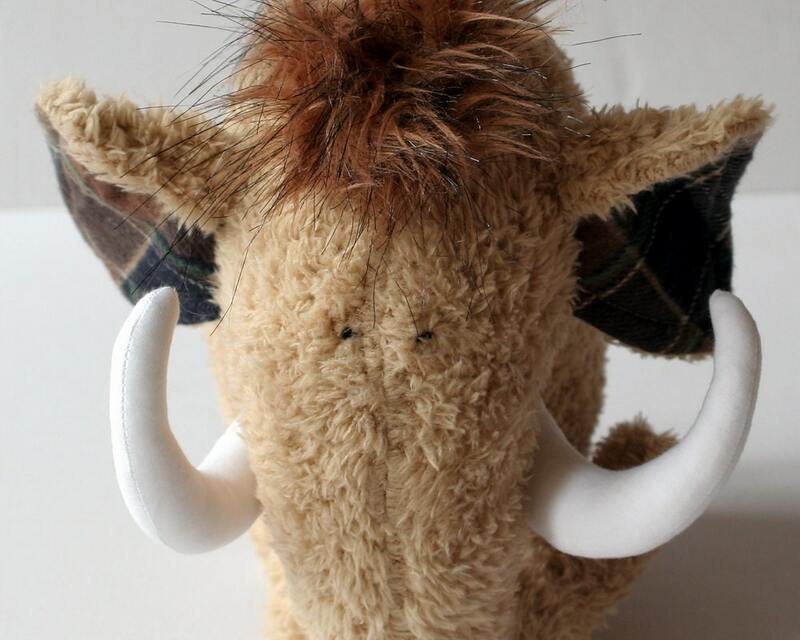 Mammoth stuffed toy, made of very soft and furry light brown plush. 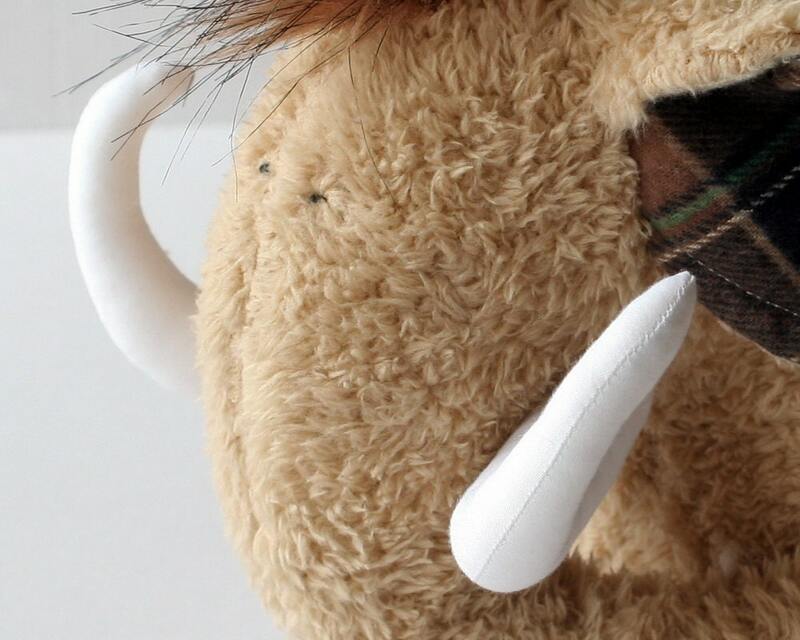 He has brown hair on top of his head and long white teeth made of canvas. His tail is made of a cotton rope. The eyes are hand-embroidered. 22 cm (~8,5 '') tall. Soft and safe, you can also give it to toddlers. Amazing! 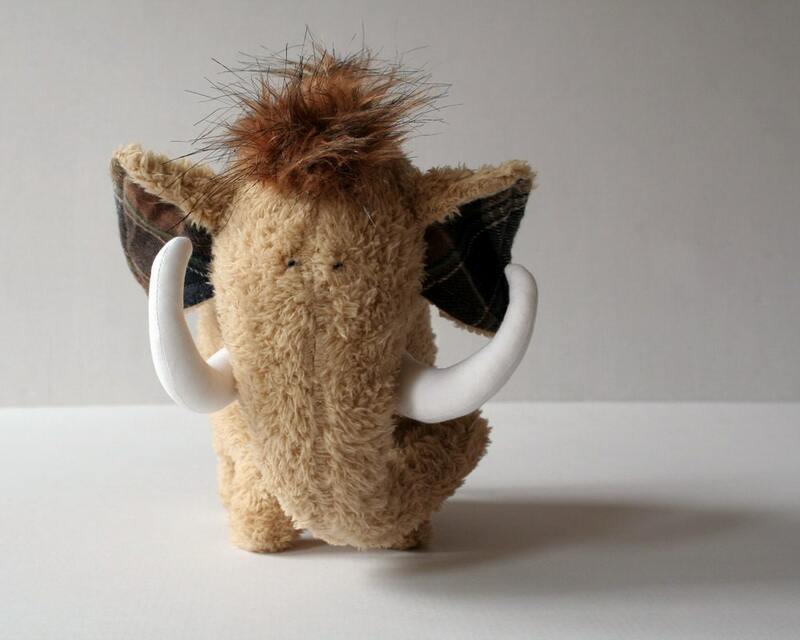 I love this little mammoth! 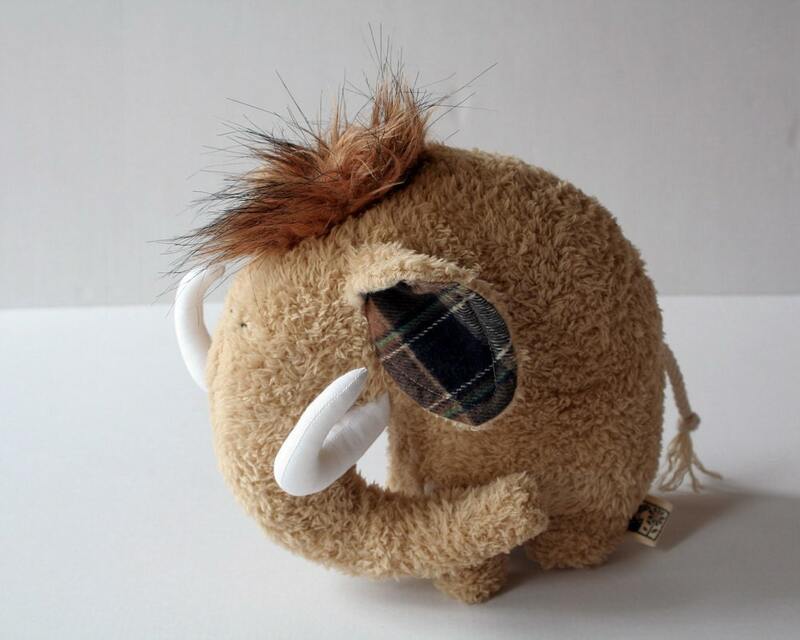 Darling wooly mammoth, love the little guy! Great job from Andrea ! The item I received is the same as the one on pics. 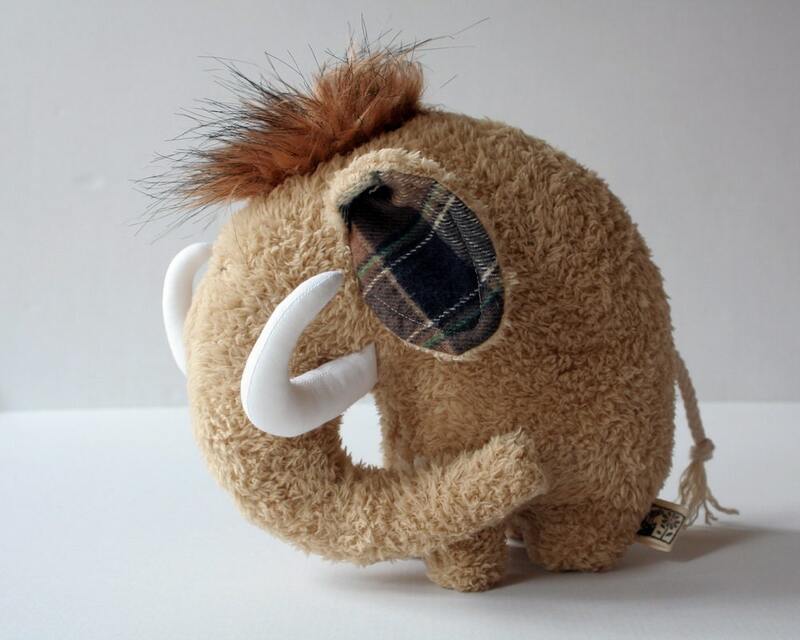 I love this mammoth ! Moreover, I received it quicly. Thanks a lot to her.